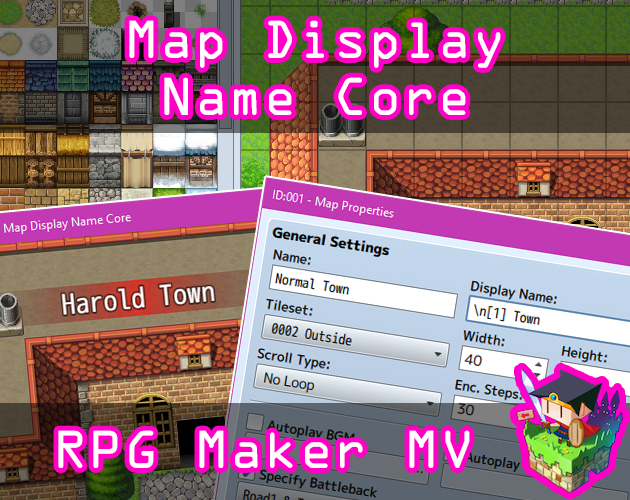 This is a RPG Maker MV plugin that lets you control Map Display Names. They can now use text codes, have unique gradient colors, and can have custom defined fade times and duration. Change the plugin parameters to adjust the way your map name windows look. - Text Distance: The amount of distance between the edge of the gradient to the text in pixels. - Window Height: This is the height of the window. 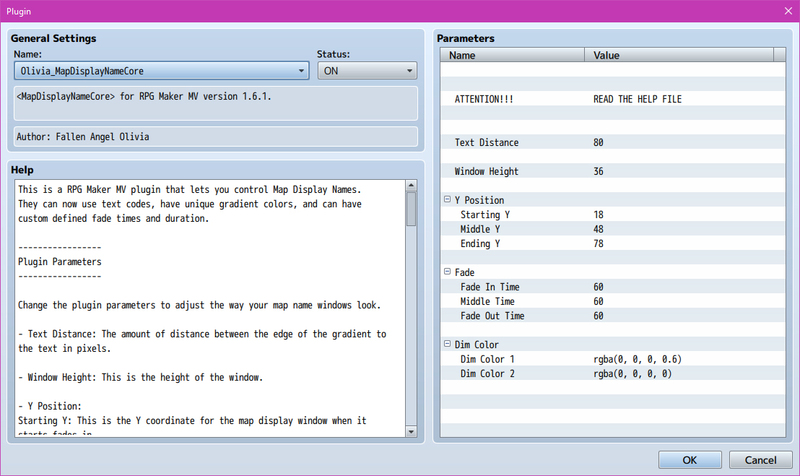 Starting Y: This is the Y coordinate for the map display window when it starts fades in. Middle Y: This is the Y coordinate for the map display window when it finishes fading in. Ending Y: This is the Y coordinate for the map display window when it finishes fading out. Fade In Time: The number of frames to fade in the map display name. MIddle Time: The number of frames to wait before fading out. Fade Out Time: The number of frames to fade out the map display name. Dim Color 1: This is the default dim color 1 used. Use values in order of Red, Green, Blue, Alpha. Dim Color 2: This is the default dim color 2 used. Use values in order of Red, Green, Blue, Alpha. 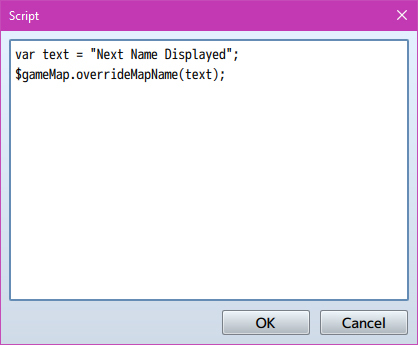 Text codes like \n and \v are supported for map names. You can now put them inside of the map name to have them display the data shown with the text codes used. 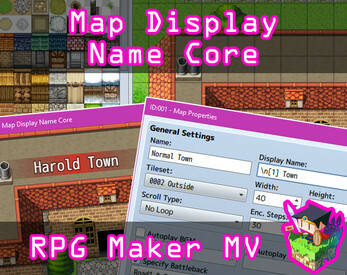 For example, "\n Town" will be displayed as Harold Town. The next map you enter will have the map name displaying the string in the text variable you put inside the Script Call Event. 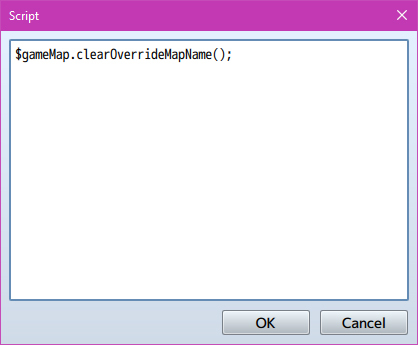 Then, it will clear itself and the next map you enter will have its usual name again and will no longer have an override map name. This will clear the override map name that is currently stored and the next map you enter will have the regular name instead. 6. You may NOT take code for your own released Plugins without credit.